For the adventurous lush: If you are always on the hunt for a new bar and a different drink look no further than the Hendrick’s Gin On the Rocks Bartenders Challenge. Five master bartenders in the Houston area take on the challenege to find a new and interesting twist on a superb liquor, Hendrick’s Gin. The Hendrick’s challenge two years ago took gin to places I did not know it could go and made me a superfan of Hendrick’s. If you don’t go for the drinks you will definitely stay for the atmosphere as the fun festivities of the night is a great kick off to a phenomenal weekend. For the music lover: Saturday’s Sip & Stroll at Imperial is a great way to get out with friends and enjoy both great food and drinks but also great music. It is a fun, carefree take on such a prestigious weekend with some heavy hitters letting their hair down for some fun in the sun. With rows and rows of food and drinks it is a great way to unwind, relax and enjoy some of the best of the best in food and wine. Plus the band is always amazing and keeps you on your feet and moving so you can go the distance with the food. 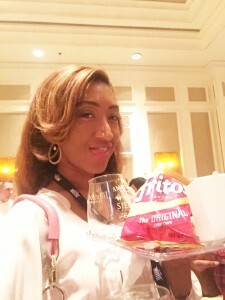 For the connoisseur: Despite having attended food and wine festivals throughout the country, the innovation and passion from The Grand Tasting always keeps me wanting more. In fact the gourmet frito pie I had last year is still on my mind a year later. 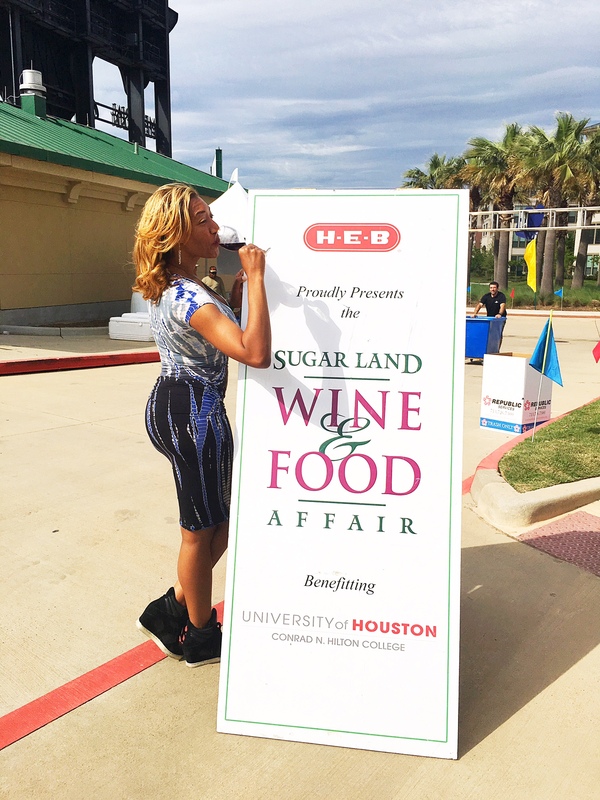 This event pulls together some of the most sought after chefs in Houston with some amazing wine pairings. When attending this event make sure to bring your paper and pen to remember some of your favs and your wallet to get in on one of the best silent auctions around. For the brunch enthusiast: Set in the Sugar Land Town Square the Bistro Brunch is a chance to unwind after a long week and even longer weekend! 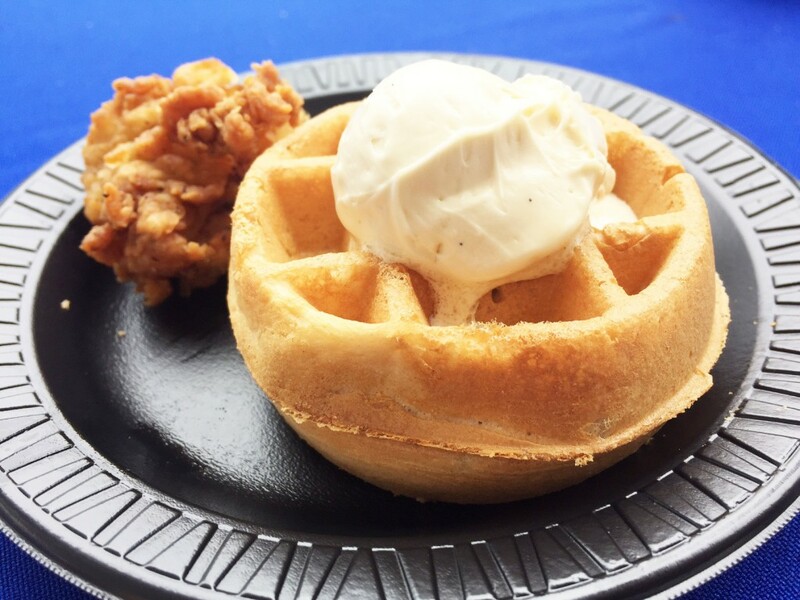 The brunch first introduced me to chicken fried lobster and waffles and I don’t think I could ever thank them enough for that foodgasm! The brunch is a mellow wrap to the action packed weekend a chance to get adventurous on your take on brunch with an array of lunch offerings. For the constant student: If tasting is just not enough and you want to learn more and more about the food and drinks you love check out some of the classes offered over the weekend with For the Love of Bourbon & Cheese and the Tasting Mastery series. These classes can put a refreshing spin on some of your favorites and let you fall just a little deeper in love with the food and spirits that you go crazy for.